NGC 6193 is a large open star cluster in the constellation of Ara (the Altar). It is located about 3800 light-years away from our Solar System and it is unusually rich in close binary, or double, stars. 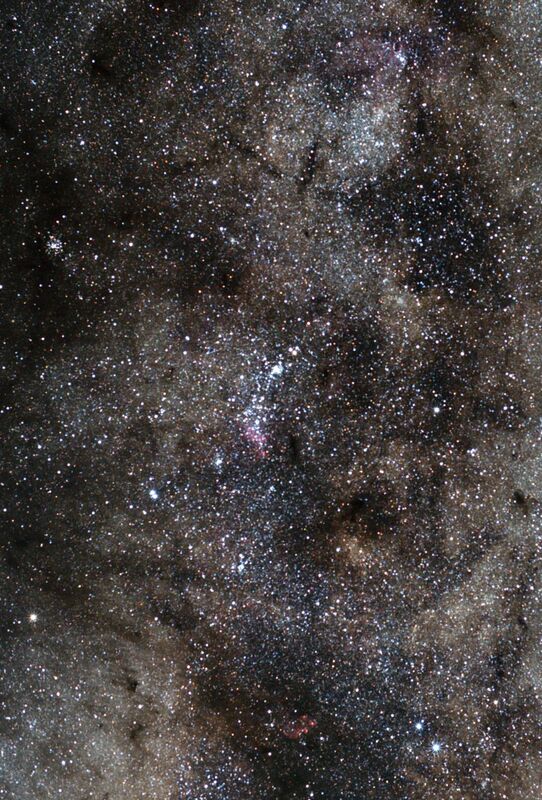 This open cluster is also home to a large number of newly born hot stars. NGC 6193, embedded in a region of dense gas clouds and obscuring lanes of dust, comprises the core of the Ara OB association with its scorching young stars. Intense ultraviolet light streams from the hottest stars in the cluster — two closely spaced O-type stars, catalogued as HD 150135 and HD 150136 — heating up and illuminating their gaseous surroundings, and thus making it shine brightly. Some of these binary systems engage in extremely violent behaviour, at least in terms of radiation production, as the powerful stellar winds from these tightly bound stars collide and produce energetic X-ray emissions. The other open star cluster in this image, NGC 6231, is located at the south-western bend of the Scorpion's tail in the constellation of Scorpius. This young cluster, only about 6.5 million years old, is approaching us at the speed of 100 000 kilometres per hour. 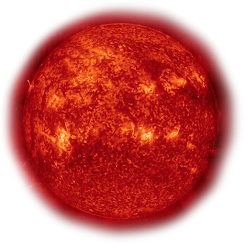 Its hottest star, Zeta1 Scorpii, ranks as one of the most massive stars in the Milky Way galaxy. It belongs to the Scorpius OB association of very young and hot stars. NGC 6231 was first discovered by Giovanni Batista Hodierna prior to 1654, and later that same year he listed the cluster in his book De Admirandis Coeli Characteribuse published in Palermo, Italy.